The row house is the most plentiful domestic dwelling throughout the world. 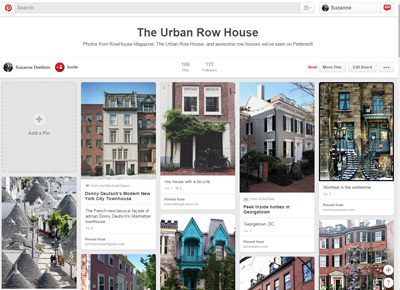 We don’t always get to see the row houses we’d like to in person so thankfully, we have Pinterest. Visit us any time at http://www.pinterest.com/bklynwebgrrl/the-urban-row-house/ where we share all the neat row houses we’ve seen on the internet. Many of our photos are included and many from other row house admirers.